How can you stand accompanying your wife shopping at Bangkok famous shopping places? Knowing that my wife and her friends will spend their day shopping around Bangkok, I booked a golf trip package through golftripz.com. The agency gave me two option for public course in Bangkok. 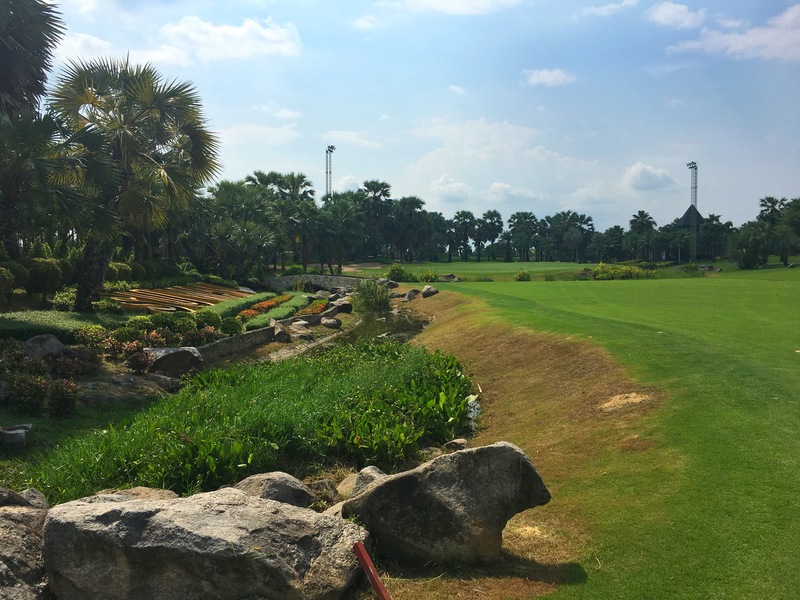 One of them is an older course while located in the middle of Bangkok, but the layout is uninspiring. 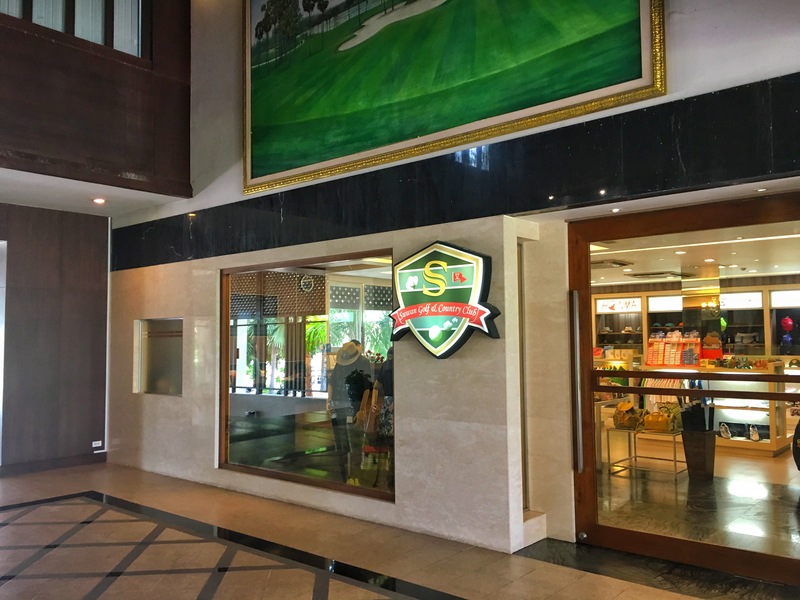 The other, Suwan Golf Course, which I finally selected, is 60 km away at the outskirt of Bangkok, but will provide “true test and challenge for real golfers“. Sounds good to me ☺. So I went and book via online, including club rental. The agency also provide car transport to and from hotel, which is very convenient. They fetched me with Camry sedan and personal chaffeur. Which was nice, as the drive to the golf course took me a little more than an hour. Arriving at Suwan Golf Course, I couldn’t help to think it’s like Royale Golf Course back home. The layout looks similar, the fairways looks nice and pristine, and the club house is plush and modern. The reception was quick, my booking was acknowledged, and once I had selected my rental clubs, they assigned to starter. My caddie was really good. 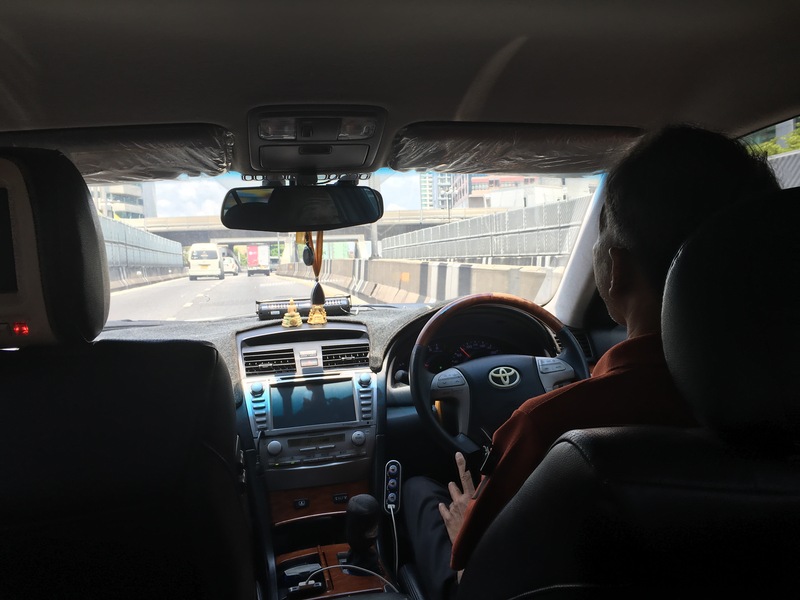 She diligently gave me directions, albeit in difficult-to-hear thailand english accent. “Center okay, big left O.B., right water”. Okay, got that. So I hit my first drive. It was a good fade to center of fairway. One short iron later, I was on the green, except to three putts for opening bogey. Ouch. But it was a good introduction of fast and rather difficult Suwan’s greens. But I composed myself, and actually played really well, especially at front 9, which I managed to get 4 pars and 1 birdies, despite having difficulties on my short game. I could manage to hit driver and irons okay with rental clubs. But the absence of my 54, 56 and 60 wedges really hurted me. I didn’t score as well at back 9, but still posted gross score below my handicap. Felt a bit tired at the end, which is understandable as I slept past midnight after the Coldplay concert. So how do I reckon Suwan Golf Course and my overall golf trip experience? Course Condition: in overall the fairways and greens are very good, but not perfect. I can still spot some areas with dead grass and were not under repair. Royale GC condition is better, I reckon. The green is quite fast (speed: 10), once I got hang of it, it’s a consistent putting surface. But what impressed me about Suwan is its water ponds. They look so serene and calm. The edge of the ponds are neatly maintained, reminding me like some part of Augusta GC. Course Layout: the course is quite challenging, but could be had. Well probably because I played from white tees so it appears not too difficult. Luckily my tee off shots were good yesterday, as this course could be punishing for wayward drives. Waters, bunkers and out of bounds are everywhere. 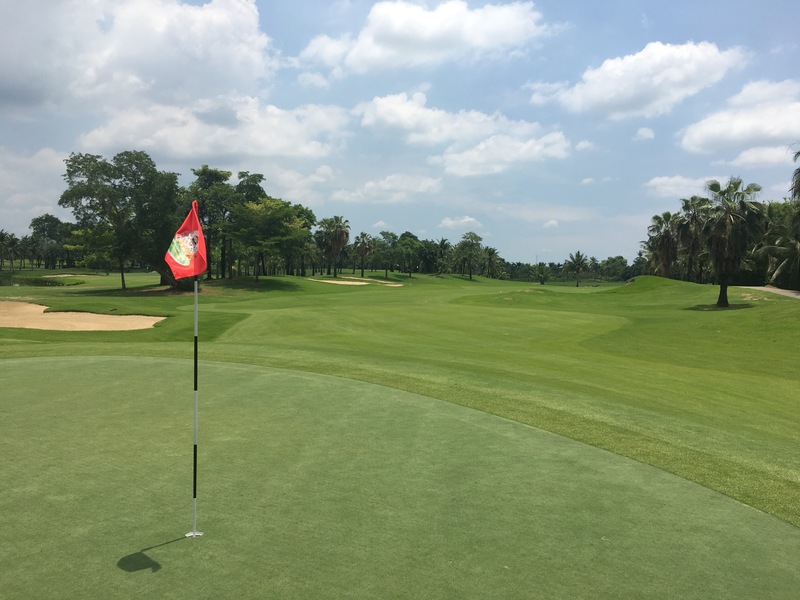 The course design is also quite vary, with combination of narrow-wide fairways, straight or dogleg hole, and strategically placed bunkers and hazards. Not a boring course, definitely. 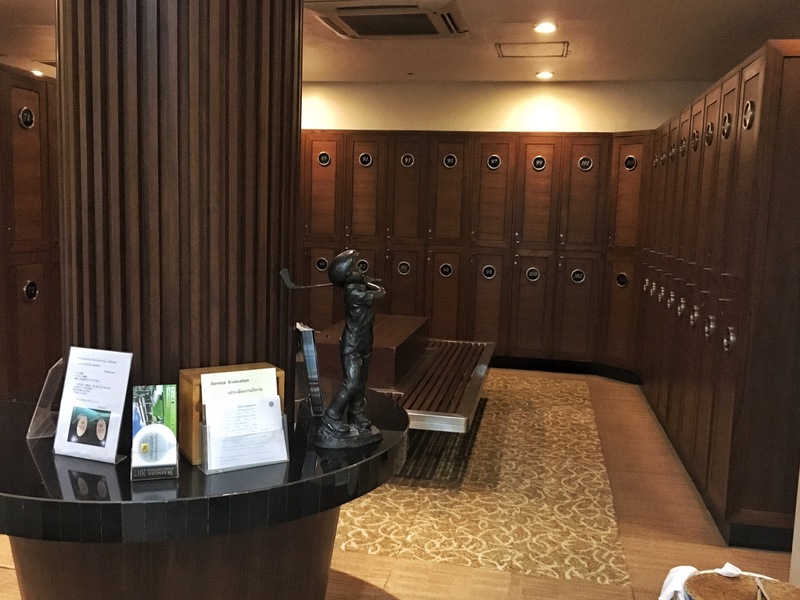 Amenities: Suwan’s locker room is as what I expected. Modern and clean. Too bad the shower stream is not strong and hot enough. As the restaurant, it has variety of menus from Thais, Japanese and Western food. What struck me was how cheap the price was. A tuna sandwich and soft drink at the shelter only cost me 80 baht! It’s easily double the price at the similar grade of courses in Jakarta. After the round, I ordered cheese burger and coconut ice blend. It didn’t cost me more than 200 baht. Geez, heaven. Pace of play: Excellent. It was Saturday afternoon. 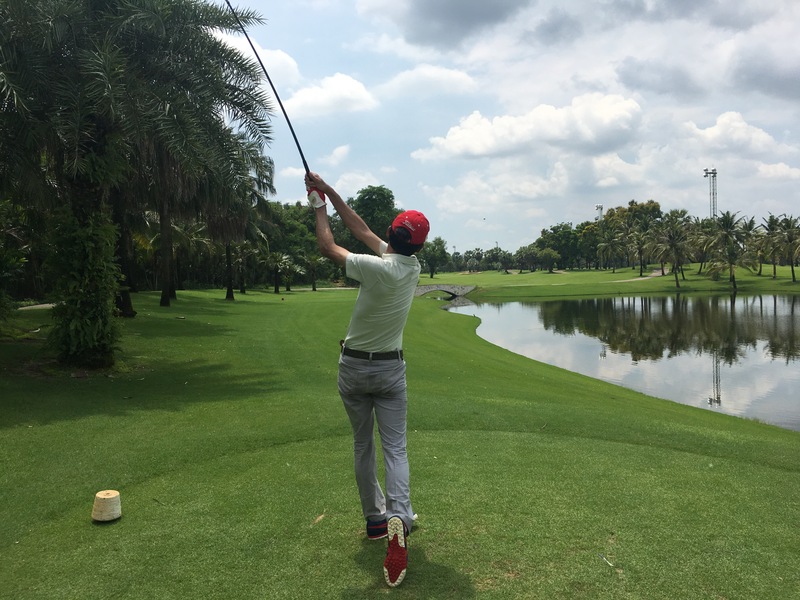 I teed off around 12.30, and managed to complete my round (18 holes) by 3 pm. Yes, I’m playing alone, but I was pleased to see Thai golfers who played in front of me, allowed me to play through. There were at least 2 foursomes and 1 walking golfer who did that. The fact that the course allowed buggy to be in fairway also contributed to quick play. Caddie: Great. My caddie gave me enough information where to hit, and where not to hit. She is also good in reading greens. And almost aleays gbr me correct club tips, depending in yardage, wind and pin location. At least one of my birdies resulted from following her advice. 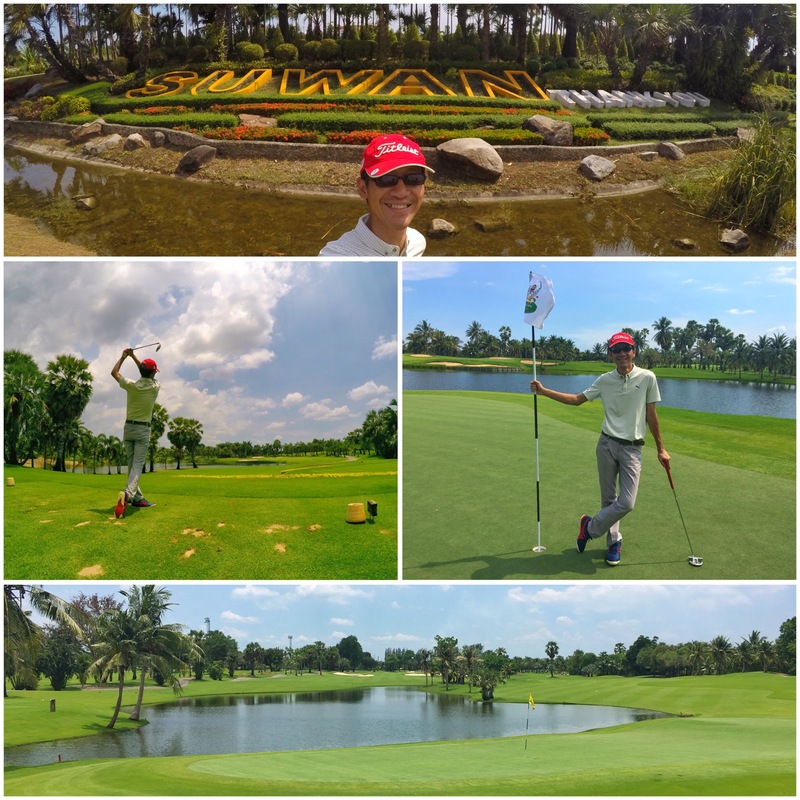 So overall, as you can read, I was really happy with my golfing experience in Suwan Golf Course. 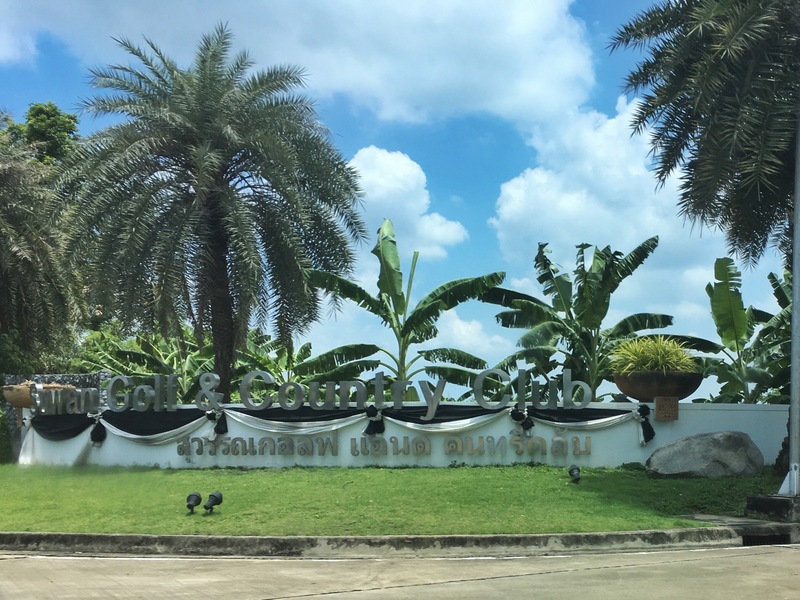 And having experienced, how good and mature golf/tourism industry in Thailand, it’s only matter of time before I return to Thailand for another golf trip. Hua Hin perhaps?